There are two ways to view the president’s decision to withdraw the U.S. from the Joint Comprehensive Plan of Action (JCPOA), a six-party agreement of the five permanent U.N. Security Council powers and Iran, on preventing Iran’s development of nuclear weapons for at least 10 years. 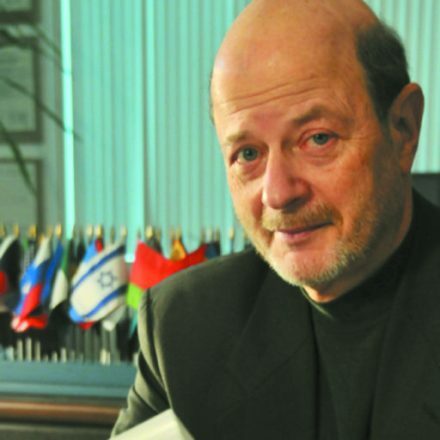 The agreement itself was termed “interim” when negotiated in 2015, and technically while not a treaty, has been judged by virtually all reports of inspectors and government officials, including Israeli and American generals, as a success in ending Iran’s weapons grade uranium and plutonium processing in return for lifting most economic and trade sanctions imposed on the country. In one view, the U.S. pull-out is foolhardy, especially at a time of prospective negotiations on “de-nuclearization” of North Korea and the Korean Peninsula. The withdrawal (or as some term it, violation) coming on the heels of abrupt pullouts from the Trans-Pacific Partnership (TPP) on trade and the Paris Climate Agreement, undercuts U.S. credibility as a reliable party to international agreements, and certainly stings America’s European allies with little apparent concern for their interests. Indeed, the president’s language about the “harshest” possible sanctions being re-imposed could expose our allies and their citizens to strong U.S. retaliation if they continued to “strengthen” Iran’s hand. The fulfillment of Trump’s campaign promises in these matters seemingly amounts to a continued slap at anything his predecessor achieved. As in the TPP and climate areas, though, the administration has given contradictory signals about possibly wanting back in to “improved” arrangements at some point. The other view, from the administration perspective, appears to be that tough talk, harsh criticism of target regimes and heavy sanctions produce better deals, as perhaps will emerge in Korea. However, if we view nuclear weapons, and even conventional missile developments, as an expression of profound regime insecurity, then anything resembling an attempt at “regime change,” as reflected, for example, in the president’s remarks about enabling the “Iranian people,” could simply drive the regime toward further weapons development and provocative measures. The president’s approach flies against most standard diplomatic practice, which emphasizes cultivating and building trust over repeated successful dealings (note Ronald Reagan’s “trust but verify” approach to the Soviet Union). Treating agreements and even talks themselves as expendable or dependent on “good behavior” tends to limit the search for common ground and progress in containing the lethal spread of nuclear weapons. Trump has claimed that his withdrawal will somehow avert a regional nuclear arms race. 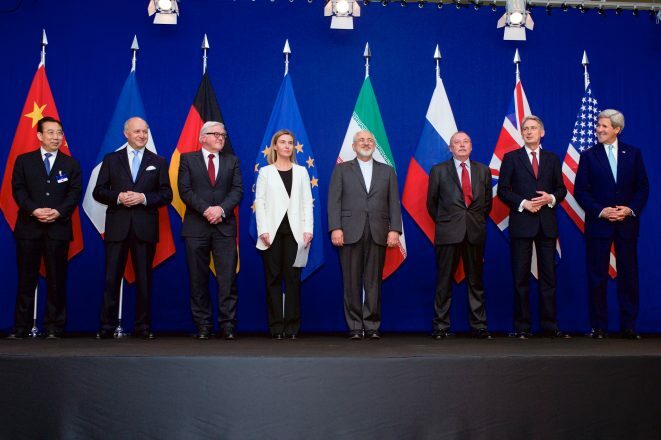 However, the reason for the JCPOA in the first place was to prevent that very development. Iran was judged to be only a few months from its first nuclear bomb, which would clearly have set Saudi Arabia, Iran’s staunch regional rival, on course to obtain its own nuclear weapons, presumably aided by a partner such as Pakistan. A disturbing development that portends further regional destabilization are the growing hostility and military clashes between Israel, already a nuclear power with significant missile capability, and Iranian-backed militias in Syria, along with Saudi attacks on any purported Iranian clients in Yemen and elsewhere. Iran has extended its influence across the northern sector of the Arab world, through Syria and Lebanon, perhaps into Gaza, on the heels of failed attempts to resolve the area’s most pressing conflicts: the Syrian civil war and the Israeli-Palestinian standoff. Nothing in the president’s move or his foreign policy approach, including the movement of the U.S. embassy to Jerusalem, would appear to indicate a moderating U.S. influence on these escalations. Clearly, regional conflict situations and dynamics are extremely complex, with parties displaying mixed motives. This administration’s tendency to view matters simplistically as “black and white” reflects some of the same misunderstandings and machinations, including phantom “nuclear weapons” claims and the assumption that our might must be right, that got America involved in a needless, prolonged and painful war in Iraq during the G.W. Bush administration. Ironically, at that time Saddam’s Iraq was inaccurately labeled a leading state-sponsor of international terror. Indeed, Iraq itself would probably be an ISIS stronghold today were it not for Iran’s backing of militias to combat that terror group. The long-run prospect of the president’s JCPOA decision appears likely to make military clashes between Israel and Iran more likely, and to drive Iran further into the waiting arms of Russia and perhaps Turkey, with Moscow only too willing to play both sides of the street — sticking up for the nuclear agreement that Trump abandoned and helping Iran weaken U.S. influence in the region. Dr. Frederic Pearson is a professor of political science and director of the Center for Peace and Conflict Studies at Wayne State University. Read Wrong Man? Right Decision!